This holiday house at the outskirts of Athens owns an indoor swimming pool where you can relax away from the curious eyes. You can accommodate your family of 4 in the spacious bedroom with double bed and in the living room with a capacity of 2 persons in a single sofa bed. The owner, living in the premises, will be there to guide you to local taverns and restaurants. Well located, this cottage gives you the opportunity to explore both the outskirts of Athens soaking up the Greek sun and wonder around at the center of the Greek capital and get acquainted with the museums and archaeological sites. This beautiful modern villa is made from brick or stone and was recently built in 2007. The agent has rated it as a four star property so it is a well-equipped villa with above average furnishings. It is also great value for money. This villa has a swimming pool and is located in Athens City, only 700 metres from Artemida. The nearest airport is only 5.5km away. 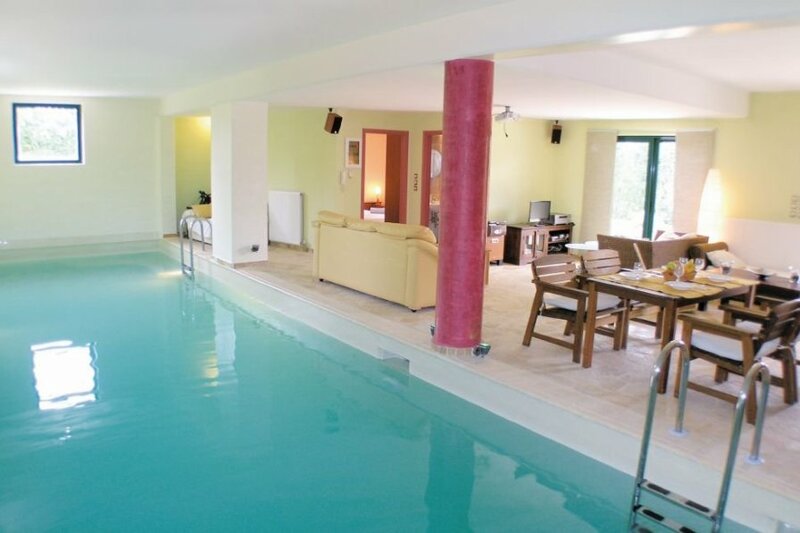 It is set in a very convenient location, just 700 metres away from a sandy beach. There's also a restaurant only 700 metres away. The villa has free wireless internet. You can also park on-site at no extra charge. The villa is well equipped: it has a refrigerator, microwave and shared washing machine. It also has a garden, a shared barbecue and some shared garden furniture outside.